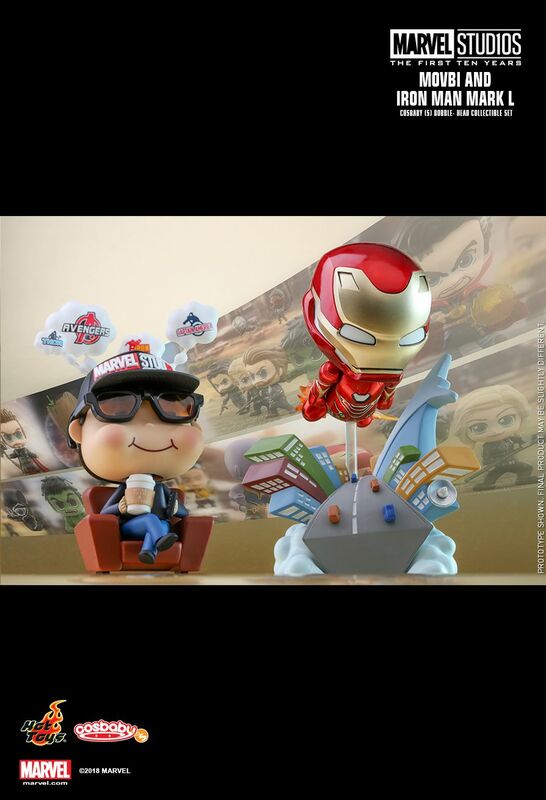 Marvel Studios has kicked off the year-long Marvel Cinematic Universe 10-Year anniversary celebration! 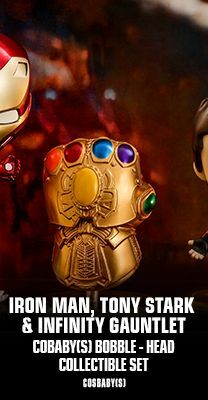 A numerous number of fantastic productions were released in the past decade that left fans deep impressions, and today Hot Toys is delighted to present the Marvel Studios: The First Ten Years Movbi and Iron Man Mark L Cosbaby (S) Bobble- Head Set to all Cosbaby collectors. 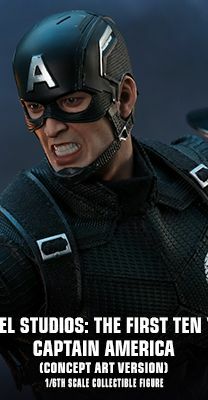 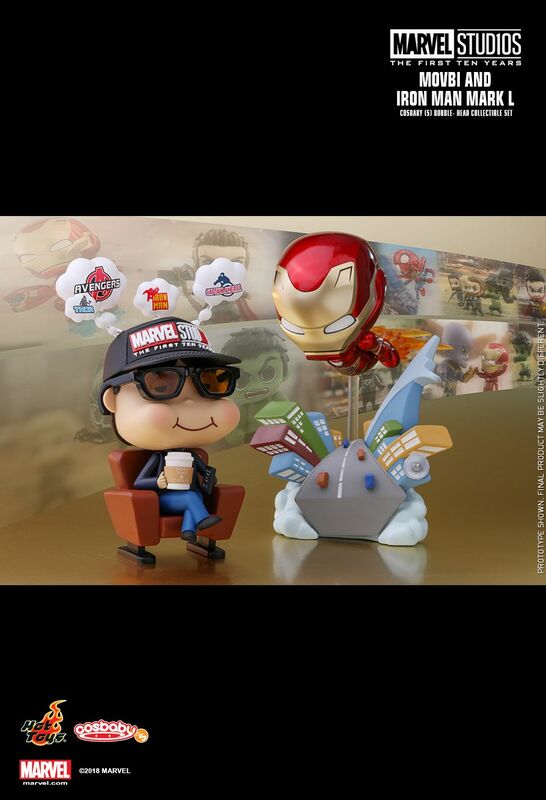 The surprising collectible set of two includes Hot Toys’ original character Movbi wears a black baseball cap with a cup of coffee, referencing Kevin Feige in his smart causal style, is enjoying Marvel’s blockbusters throughout the years on the comfy theatre chair! 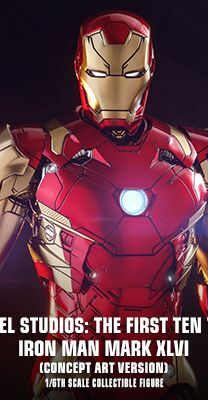 Plus Iron Man Mark L has specially flown all the way to join Movbi for the most epic movie party ever! 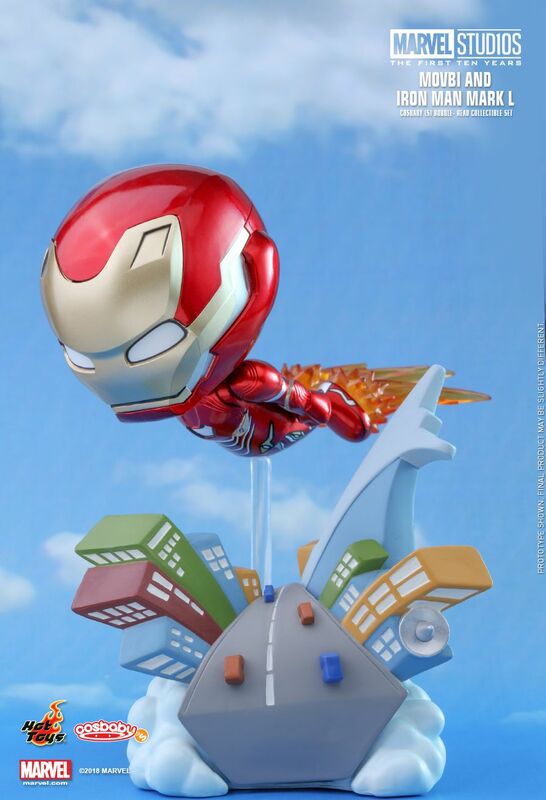 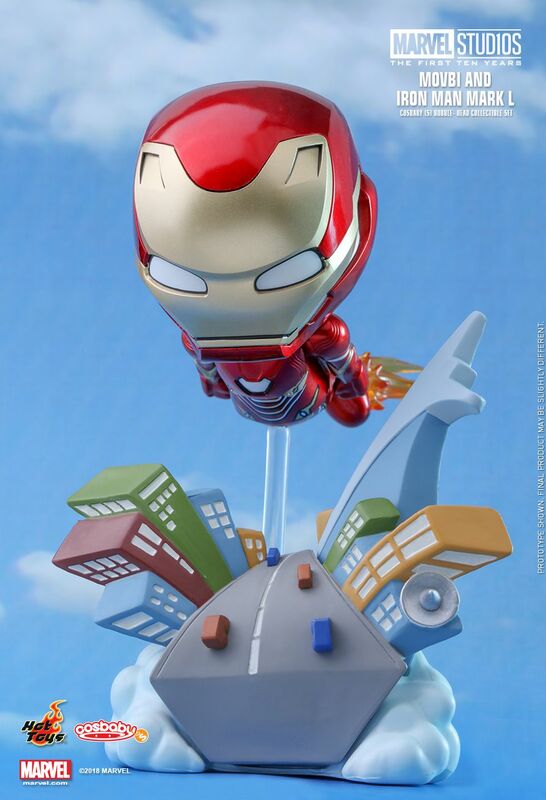 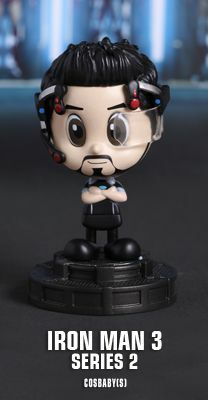 The new producer-like Movbi and Iron Man Mark L Cosbaby Set is surely an ideal gift for fans!